Winter weather can be a real problem when it comes to safety. Ice and snow on the sidewalks and roof of your house can be hazardous if you are not careful. One way to avoid injury is to hire professional Christmas light installers to decorate your house for you. A well-lit sidewalk leading to your house makes walking around safer. During the holiday season you can transform your ordinary walkway into Candy Cane Lane. 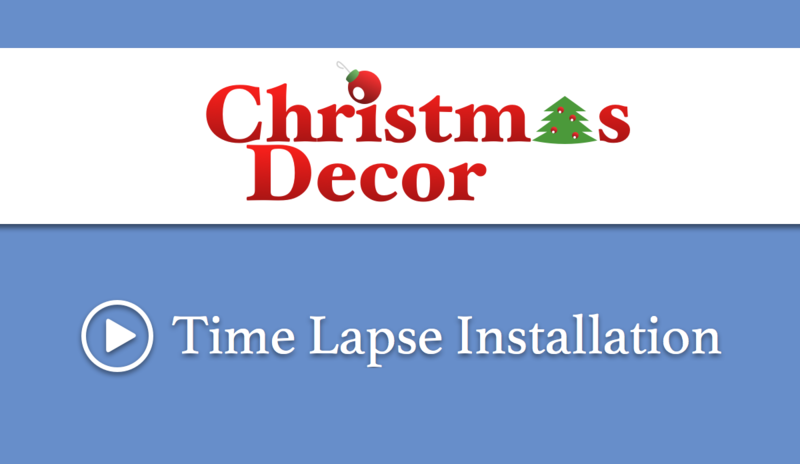 Christmas Decor Mid Michigan offers Christmas light installation services to area residents. With holiday lights hanging on your house and illuminating your walkway, hard to spot ice will be more visible making it safer. The qualified Christmas light installers at Christmas Decor Mid Michigan can create a gorgeous display that will far outshine any ordinary lawn lanterns. Your home will be the envy of everybody living in your neighborhood. If you are a business owner you can hire the professionals to decorate the exterior areas of your workplace. Failing to light a walkway properly can lead to an accident and a possible lawsuit. With decorative lights you can brighten up those areas where it is difficult to see. This will allow your customers and employees to come and go safely without worrying about slipping on the ice. You can arrange small Christmas trees with colorful lights along the sidewalk to create a festive atmosphere. With help from our professional Christmas light installers you can help spread the Christmas spirit to everyone who visits your workplace or walks by. When winter weather threatens to turn your sidewalks into treacherous paths that keep your customers from coming inside, solve the problem with colorful lighting solutions by Christmas Decor Mid Michigan. You can celebrate the Holiday season while making sure everyone can see well enough to stay safe when the weather is at its worst. For more Holiday ideas take a peek at our other blog entries!